Lincoln-based Hurricane Sports are looking for two part-time coaches: a Multi-Sport Coach and a Jogging Club Coach. 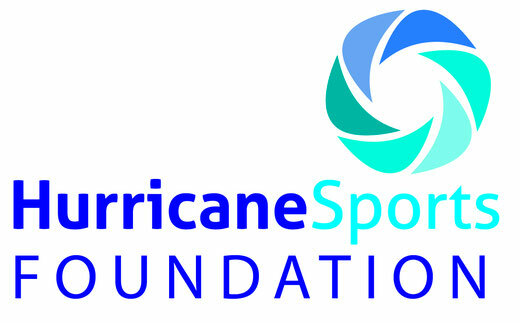 For more details, please see the Hurricane Sports vacancies site. Lincoln City FC Academy have an opportunity for students to help film their U16s for the rest of the season with a view to continuing next season. This role would be perfect for 1st and 2nd years who are looking to get involved in football performance analysis. The person/s would need to be available for most Sundays between now and the end of April and initially from September if possible (or when they return for the next year). Students who have worked in similar roles with the Academy before have had very positive experiences, and have gone on to work or Masters programmes in the area of Performance Analysis. Alongside this,there is also an opportunity for one or two people to work with the U18s next season. The Rugby Football Union have a full time, permanent vacancy for a Rugby Development Officer in Nottinghamshire, responsible for the provision of high quality local development support to a number of RFU member clubs, to strengthen the capacity, membership and performance of these clubs. The RDO will build strong and effective relationships with club volunteers, constituent bodies and develop strong external relationships that you will use to support the growth and development of the club, improving the quality of experience for existing players and members whilst developing and implementing local strategies to grow the game. The RDO will have a particular focus on supporting clubs to sustain players aged 14-24, and developing regular opportunities for women and girls to play the game. They will assist clubs to grow their operations to enable all variants of the game to be played and to strengthen social membership. The role also includes line management of the Community Rugby Coaches to assist in this work and work collaboratively with other RFU staff, regionally and nationally, to ensure effective and co-ordinated local delivery of Rugby. England Golf are inviting applications for a Get into Golf Engagement Officer providing support to the Participation & Club Support department. This would be an approximately 6 month contract (April to October 2016), and applications can be from an individual or company. This work has been identified as involving access to vulnerable adults and/or children and in line with England Golf policy successful applicants will be required to undertake a Disclosure & Barring Service Disclosure Check and must also have attended a Safeguarding and Protecting Children course (SPC) or be willing to undertake one. For further details on this opportunity download the full advert and role details.